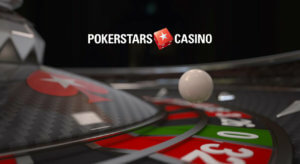 The partnership will give PokerStars Casino’s players access to all of Pragmatic Play’s renowned portfolio, such as recent releases like Da Vinci’s Treasure, Peking Luck and Madame Destiny, as well as popular classics like Wolf Gold. Yossi Barzely, Chief Business Development Officer at Pragmatic Play, said: “The commercial arrangement was one of the most significant in the provider’s history. The new deal continues a summer of rapid expansion for Pragmatic Play, which has seen the supplier partner with a host of major operators across Europe. After recently acquiring Extreme Live Gaming, Pragmatic Play has also invested into the live casino vertical to further enhance their expanding product portfolio of video slots, scratch cards, bingo and other games.